Home / Best Cleats by Position / What Soccer Cleats Should You Really Be Wearing? What Soccer Cleats Should You Really Be Wearing? Sometimes as players, we just need to be honest about our playing style on the field and who we really are. If you seek the truth, it can lead to you finding the right boots that you should actually be wearing. With that in mind, this 100% accurate and completely honest guide* should be used as inspiration in finding the perfect (and maybe next) boot for you and upping your game. Check out the listings and leave a comment below letting us know which player you are and what you are currently wearing! The Showboat – Needs to stand out on the field with the wildest boots and will usually shout at other players when they don’t get the ball…every time they don’t get the ball! Options include: The latest Orange Nike Superfly or the Electricity Adidas F50 adiZero would go down nicely! The Engine Room – Doesn’t stop running for the full 90 minutes and never misses extra-time, usually the last player out of the locker room. Options include: Something with class, like the Adidas adiPure IV or the Nike Tiempo IV. The Goal Hog – Stands by the opposition penalty box and shoots on demand, you are not likely to receive a pass from this player. Options include: Power – the latest Nike T90 Laser, Adidas adiPower or go for something different like the Pele-Sports 1970. The Defensive Warrior – Likes to tackle and push people over, no concern for any other players safety. And usually can’t hit the target when they shoot! Options include: Go with a bold Puma PowerCat or try the new Under Armour Hydrastrike. Another popular option is the Nike T90 Laser. The Speed Demon – Sometimes it is just easier to take the speed demon down, they just like to run and run fast….most of the time like a headless chicken. Options include: Lightweight boots like the Puma V1.11 SL, Adidas adiZero Prime or change it up with the Latest Lotto Zhero Gravity. The Entertainer – Tricks just come naturally, and they can be heard shouting “Barbeque” after nutmeging a player. They then disappear for the remainder of the game. Options include: Top of the list is the Nike CTR360 Maestri or simply choose the Vapor VII. For non-Nike fans, try the Umbro Geometra. The Hot-Head – Think Joey Barton! It just comes naturally to scream at other players for diving, yet you do it yourself! Generally don’t abide by the law. Options include: Nothing better than the Puma King Finale for a hot0head, but another one to consider is the Diadora Kobra K, designed with Italian anger! The Artist – A master on the ball and looks the part, but sometimes likes to try taking on the entire opposition team – losing it 99.9% of the time! Options include: The Adidas adiPure IV SL tops the list, and the Mizuno Morelia and Adidas Copa Mundial follow as back-ups! The Out-and-out Winger – Stands on the sideline and doesn’t stray near the middle of the field. Also, doesn’t ever defend. Options include: The Puma V1.11 SL fit the bill, while the Nike Vapor Superfly Safari(specifically) offer a lightweight and easy to wear option. The Beckham – Just likes to take set pieces and play long passes across field. Likely to have a different hairstyle every other week. Options include: Well, the adiPower Predator is an obvious shoe-in for this one. Non-Adidas fans, the Mizuno Wave Ignite is the way to go! 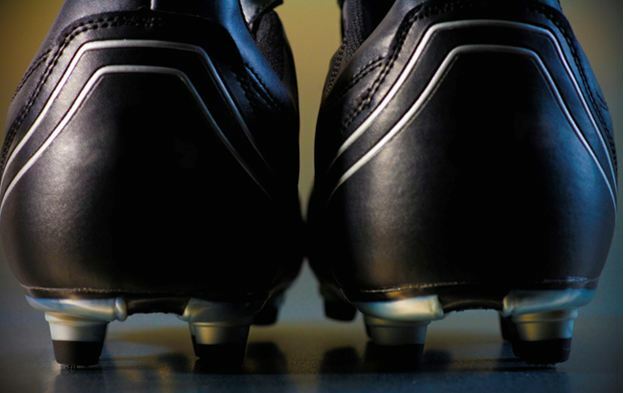 The Craftsman – Can be found polishing their boots before AND after every game/training/every time they see their boots! Perfectionist on the field. Options include: If the Nike Tiempo IV doesnn’t suit your palette, you are not a Craftsman, also worth noting is the tough to find Pantofola d’Oro Lazzarini. The Newbie – Every so often, they need to be reminded of what there role is on the field and where they should be positioned – yet they are the one to score a screamer from 30 yards. Options include: Comfort is a must, the Diadora Maracana is a perfect option. The Adidas adiPure IV also fits the requirements. The TV Pundit – Normally the one screaming directions to other players on the field, realistically they are the one who can never seem to control the ball. Options include: Every TV pundit has worn the Adidas Copa Mundial at one point. But you will find this type of player also wearing the more advanced Nike CTR360 Maestri! I am the defensive warrior/The beckham, great post! definately the beckham… minus the hair styles. awesome post! Engine Room, but I'm in the T90's. I'm also the speed demon, last one out of the locker room 80% of the time, last one off the grass 100% of the time, and always running. I will need to quote that next time I am referencing a new speed boot release! Wow, this is one of the best football related posts I have read in a long time! Your descriptions of the roles are so spot-on and entertaining! I am a mix of the entertainer and the artist meself (with a little of pundit/manager as I can be heard loudly applauding every good move or good idea and shouting out instructions like "head-up" and "support behind") and I wear Umbro Specialis. I think a very good match, no? On a side note, I noted that I used to wear v-konstrukts before I broke my ankle and I was a mix of defensive warrior, speed demon and artist rather than entertainer and artist. I had powerful shots, was uncompromising in the tackle, and was a fierce competitor on both ends of the field with my pace and physicality. Then when I broke my ankle I changed boots (konstrukts were cut into pieces to get them off my foot) and became a bit leery of getting stuck in or running at full pelt due to the fragility of my ankle and so started to take more dribbles, touches and more forward movement than defensive involvements……in my specialis. It could just be coincidence but I find it interesting nonetheless. ^_^ I feel like my next boot will be a maestri or adizero when I get back to full fitness. lol either the Craftsman or the Engine room. i wear the blackout predator Xs though i love them. i love the post my team has just about every character on it lol. Im a speed demon and I wear Vapor VI wc edition. I want to get me some Vapor VII soon. Definitely the speed demon and the out-and-out winger. I use T90 Lasers for when i feel generous and then tiempos for when i feel like i want to mess around a bit. Really good post Bryan, hilariously accurate..
Btw, did you get a little inspiration from Fifa 11 with these titles eh? I'm usually wither the out and out winger or the newbie because I have only played for a year but I have yet to score a screamer yet, and I'm also the laziest defender ever. lol I know a lot of TV pundits, and some of them do wear CTRs. which one of these fits a goalkeeper? well, im a beckham because my shots(though not powerful) are accurate from distance. im also the TV pundit in a way because i play left defense and my sweeper is too quiet, so i end up taking control and giving commands, bad ball control is something i dont have tho. im a bit of a craftsman in the sense that i always clean my cleats after i use them. so i suppose im a TV craftsman beckham. and i wear the green macaw white and black adidas predator x!!! i love them and got them two days ago! isn't the showboat similar to the entertainer? lol. That's what he meant by out and out winger. He recommended that Safari Superfly's specifically, Ronaldo's signature boot. interesting post. im the speed demon and out-and-out-winger. currently i wear superfly 3s and sometime tiempo legend 3 elites. I would about 20% Engine room and 80% Artist I wear the Adipure SL and I think the definitions fit me to perfectly. But I don’t think I loose the ball that much LOL! The Defensive Warrior – I play LB/CB & sometimes LM, I use Addias Predators, as they are the denders choice of boots if you want the Adidas option. If you don't like Predators try Adi pures as F50 won;t protect your feet when doing 60/60 tackles & getting your foot stamped on. A strange mix of the defensive warrior and the entertainer. Currently I wear nike tiempo legend III in team red! And with my Wave Ignitus I & II I have total 12 players because my tackle, and I like to push often too, that’s why I’m tend to shouting my team mates and rarely control the ball, but the “can’t-hit-the-target” part is very true according to myself, where did you know this?!? Does anybody know if Puma plan on developing a new Powercat anytime soon? im easily Beckham and Engine ! I would recommend checking out the "Cleats by Position: Midfielders" post for a comprehensive list of options! which cleats are good for a bad ankle? more support? In my old age I’m the out and out winger. With a bit of the craftsman thrown I because my boots are shiny all the time. Mercurial/CTR360’s here.